France in London | France tops the poll as the world's most pessimistic nation. How true is this? France tops the poll as the world's most pessimistic nation. How true is this? This is more a confirmation rather than a ground-breaking discovery : the French are pessimistic. This is what a PeopA BVA-Gallup poll reveals, as it has drawn the following conclusion: the French are 'the world champions of pessimism'. Has France definitely lost hope ? According to the poll, conducted in 53 countries from October 11 to December 13, 2010, 61% of our French compatriots think 2011 will be “a year of economic difficulty”. In other words, it turns out that the French are entering the new year in a gloomier frame of mind about their finances and job security than their counterparts of most other European countries experiencing troubles, including "Belt-tightening" Great Britain (52%), 'unemployment champion' Spain (48%), and 'skirt-chasing' Italy (41%). 2011 will be a year of depression - in both senses of the word. This pessimism is further illustrated by a poor confidence in the short-term future : only 8 per cent of French participants told Ipsos MORI that they expected their financial position to improve over the next six months. Again, France appears as the most sceptical nation, far behind Australia (35 per cent of optimists), the United States (34 per cent) and Germany (29 per cent). 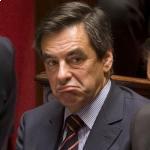 Overall, 37 per cent of French participants said 2011 would be 'worse than 2010'...My fellow down-hearted friends : Happy New Year ! Why are the French so oblivious to their luck ? If we have the most beautiful country of the world : why are we so pessimistic ? According to the newspaper France-Soir, the poll's results are beyond understanding, as our situation – economic, industrial, political - is arguably still one of the best in the world. To illustrate this point of view, France-Soir has provided French readers with 15 reasons not to be pessimistic. Amongst these were: a wide range of culture facilities, a transparent(ish) democracy, healthcare provided to all, a good educational system, and quality infrastructure. “The French are amongst the most worried of people while the whole world envies them!” the tabloid concludes. Meaning that la vie may be belle, but the French will never be satisfied. But this is a bit simplistic. It would imply that we should turn a blind eye to the increasing number of political scandals, the spying of journalists, and the declining competitiveness of French companies in the world. The truth is that even if there are actually plenty of reasons to be happy, the ever-worsening states of democracy and educational system does not make us optimistic. The fact that citizens are realizing that their priceless and unique living conditions, symbolized by healthcare system and holidays, are crumbling away could go some way to explaining France's pessimism. The poorer, the merrier ? But what is the most surprising is that the French turn out to be considerably more pessimistic than poorer and war-torn populations. For instance, only 14% of Afghans and 12% of Iraqis are fearing a deterioration of their situation. Among the world’s most cheerful optimists are the Vietnamese, the poll suggested, as 70 per cent of them are confident about their economic prospects. Evoking another upbeat country, the newspaper Le Parisien noticed: 'despite coups d’etat, corruption and poverty, confidence also reigns in Nigeria'. Indeed, 80% of respondents expect their financial situation to improve this year. Has happiness a unique meaning ? Though it is hardly a news-flash that France is a nation of pessimists (it is one of these old refrains that columnists endlessly use when they are short of more interesting topics), it is admittedly astounding to see the striking divergence between confident, optimistic and newly prospering emerging countries and their worried, anxious counterparts in the 'rich and industrialised' West. How can it be explained? Is there any rational explanation ? First of all, we must not confuse happiness and optimism. You may be quite 'unhappy' (ie : depressed, angry, demotivate) about being back to work, but you might be 'optimistic' as you have a lot of exciting events upcoming (ie : parties, dates, gigs...). To be more precise, 'optimistic' Afghans may guess and hope things are on the verge of taking a more positive turn, but it does not mean that they are happy, as bombings and misery are still poisoning their daily life. One could also (cynically) argue that as things cannot get worse, Afghans and Iraqis only have to be optimistic: they have very little left to lose. But the most relevant point is probably that it is quite impossible – and irrelevant to rank such different countries according to their optimism. Obviously demands and habits are not on a same level. While the Afghan is looking for a roof and drinkable water, the Frenchman is hunting for the latest smart-phone. This is why claiming that the French are more pessimistic than the Iraqi is not remotely useful- it just is not quantifiable. One last thought for you to ponder: who has the most enviable situation : a 'pessimistic' French or an 'optimistic' Iraqi? "For instance, only 14% of Afghans and 12% of Iraqis are fearing a deterioration of their situation." If you'e situation is already horribly bad, you aren't usually worrying about how it might be about to get significantly worse, let alone fear it. In other words, a person responding to such a survey would probably respond "Could my situation really get that much worse? I don't think so." Who in the world envies them? Perhaps arrogance and pessimism are positively correlated. No, they stopped caring for the good stuff. They only care about how bad is everything. this is quite a big surprise to me. how can the french become so pessimistic. My best guess is they are cool-minded and open-minded.